Seven months ago, Rachel Krane, Constable Senior Clerk, was charged with the task of doing the research for the project. During that time, she made numerous trips to the library, searched newspaper articles, dug through county archives, and worked with local historians to get the information needed. She was surprised to learn that better records had not been kept for elected officials. Still, she persevered. Krane’s work was instrumental in bringing the project to fruition. 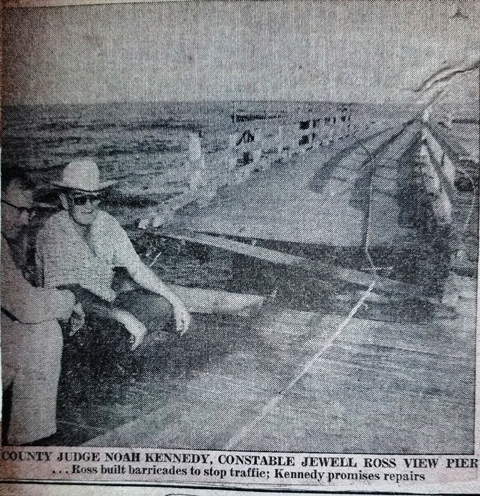 In 1952, the Nueces County Commissioners Court shifted Pct. 8 from Driscoll to the area that extended south from Everhart Road, including the University of Corpus Christi on Ward Island, Naval Air Station Corpus Christi, Flour Bluff, and all of Padre Island in Nueces County. 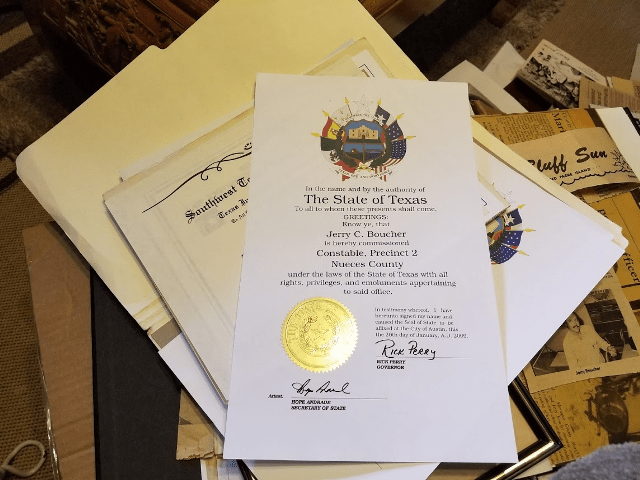 Jewell W. Ross was elected constable in November of 1952 and took office as the first constable of the new precinct on January 1, 1953. His opponents were Joseph Henry, Fred Rhome, John O. Winters, William M. Bennett, and Walter Rogers. Ross quickly went to work building the department. According to an August 19, 1053, Caller-Times article by Mary Gene Kelly, Ross started with a $4000 budget. Soon after, he sought a salary of $3600 for himself and $6000 for his deputies along with a $100 a month car allowance. He also requested office equipment that cost about $435. 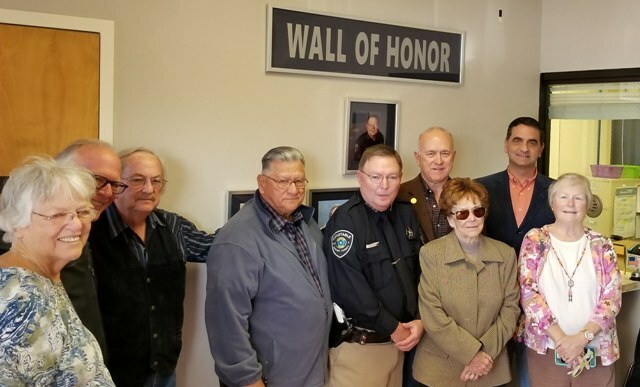 In 1954, Ross and his deputies moved into the new $35,000 county building dedicated by County Judge John Young at a ceremony held on June 19, 1954. Flour Bluff School Superintendent E. J. Wranosky served as the master of ceremonies. The Rev. E. McCoy Bynum of Trinity Baptist Church gave the invocation. In attendance were County Commissioners William McKenzie, Horace Caldwell, William J. Bryan, and John J. Sablatura. 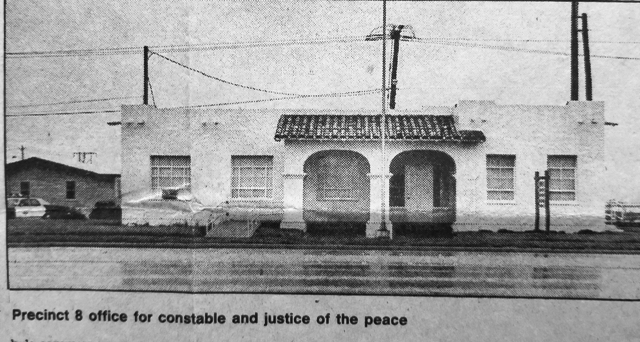 The Spanish-style structure, located at the entrance of the Padre Island Causeway, housed offices of the justice of the peace and constable of Pct. 8. It also had a courtroom, a two-cell jail, a large waiting room, janitor’s supply room, restrooms, and a parking area for 40 to 45 cars. Along with the building, came a new patrol car and two full-time deputies. 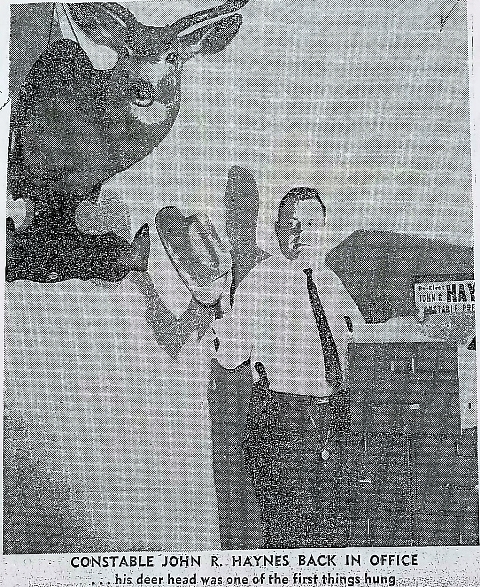 Ross would serve as constable of Precinct 8 until his retirement in 1960. The next election pitted A. Z. McIver against John R. Haynes. 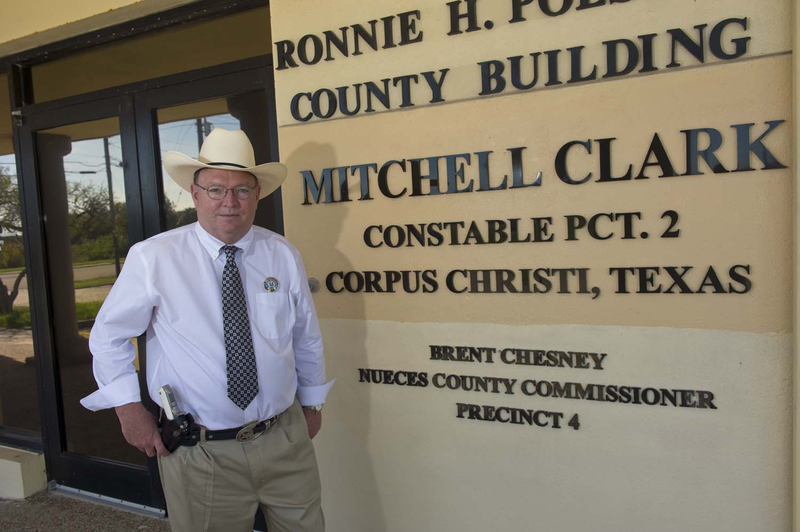 McIver, who spent eight years with the Corpus Christi Police Department, resigned and began managing White Enterprises. This Baltimore native came to Corpus Christi in 1950 after serving six years in the Navy in WWII. Haynes, also a WWII veteran, was 38 at the time and operated Haynes Bonded Guard Service, serving the Port of Corpus Christi for ten years. Haynes won the election and took office in January of 1961. He would win against McIver again in 1964. Haynes responded in the same article, “I’m going to take this as high as I can to hold my office. The people out here gave me a vote of confidence that I was doing a good job. They re-elected me with a good majority. I don’t see how the commissioners court can cut an elected man’s salary off.” Haynes would go on to serve the people of Pct. 8 until 1980, sometimes without any deputies, funding, or even an office. In 1980, Jerry Bouchér, a young opponent who had served as Haynes’s deputy, defeated him in the Democratic primary. However, Boucher would lose the bid for Pct. 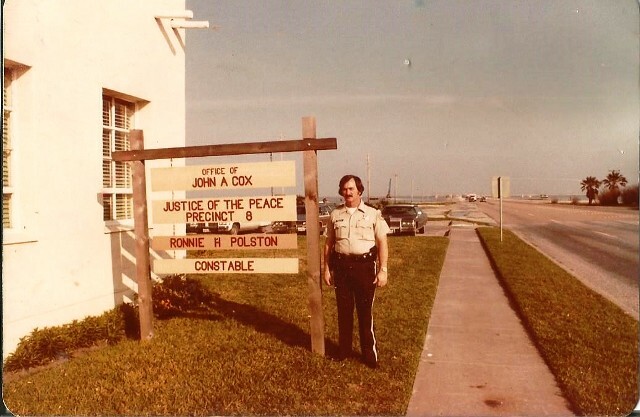 8 constable to Republican Ronnie H. Polston, a Vietnam War veteran who was stationed at NAS CC in 1962. Polston finished out his career in Corpus Christi in 1976 when he retired. 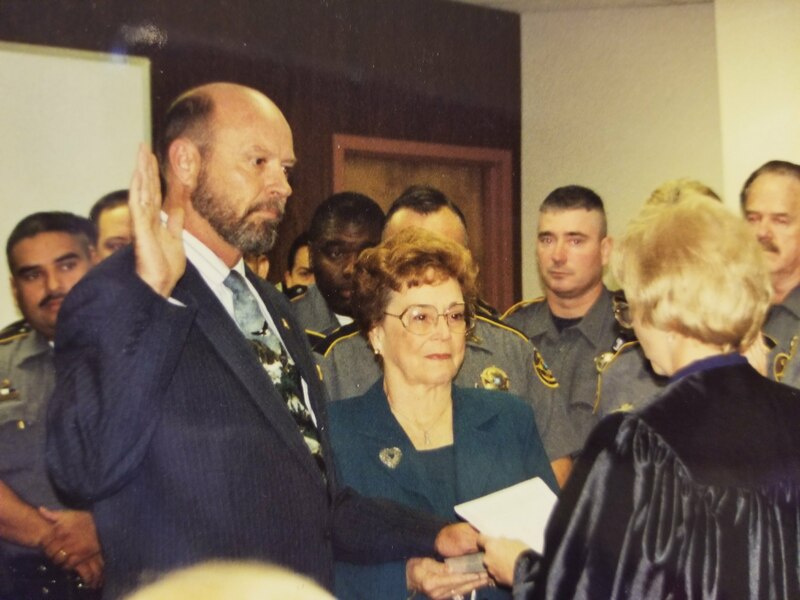 He went to work for the County Sheriff’s Department, working his way up from jailer to dispatch to patrol and finally to the Criminal Investigation Department. Polston went on to become a sergeant in charge of the Civil Section. It was at this time that he made the decision to run for constable. 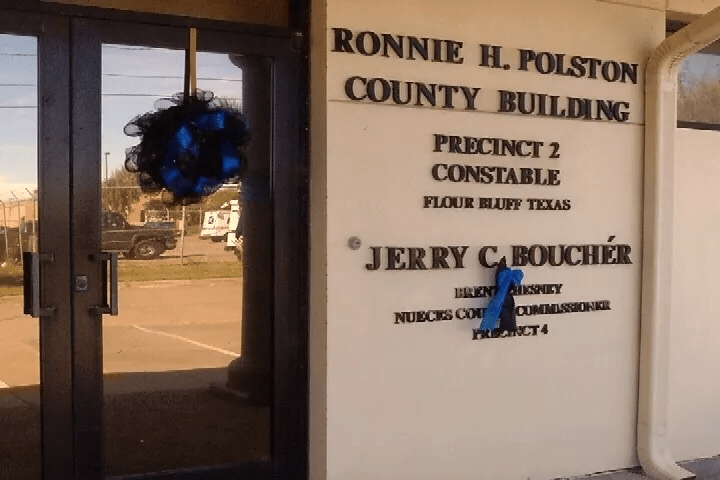 Jerry Bouchér stands next to Constable Ronnie Polston in this Pct. 8 photo provided by Janie Stobbs. “On his own time and with his own money, he took every course at Del Mar on law enforcement and got every kind of training available to him. He even taught classes there himself later in his career,” Stobbs said proudly of her son who passed away in 2016. “He has five letters of recognition and appreciation from five different governors.” Boucher served at Pct. 1 with Johnny Alaniz as Chief. Bouchér, who also studied marine biology and geology at Del Mar, served the Flour Bluff community as the President of the Flour Bluff Civic League. 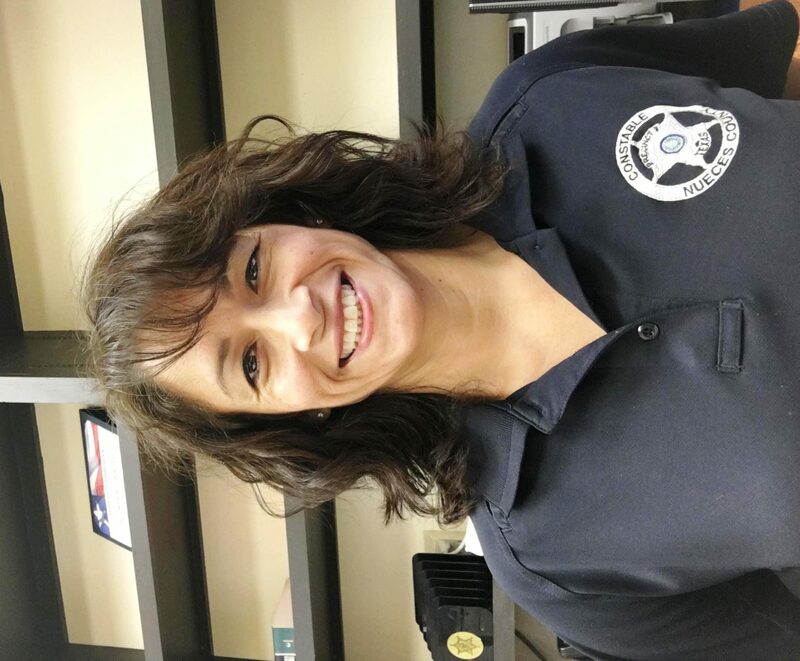 According to a Flour Bluff Sun article, Boucher also served on the Nueces County Employees Credit Union Board of Directors and served as a Red Cross instructor. For a while, he even served as the justice of the peace. Though he was a busy man who was connected to his community in many ways, Boucher believed that the constable should be available 24 hours a day, 7 days a week, a philosophy he shared with his predecessor. The Ronnie H. Polston County Building, as it looked after Bouchér’s passing. The building bears the geographical location of Flour Bluff, Texas. When Boucher passed away, his friend of 40 years, Mitchell Clark, was the next man to assume the role of Pct. 2 Constable. Clark ran unopposed in the November 8, 2016, election and was to be sworn in January 1, 2017. However, Boucher’s death in October prompted Judge Loyd Neal to appoint Clark to Bouchér’s remaining term. A graduate of King High School in Corpus Christi, Constable Clark went on to join the United States Marine Corps. 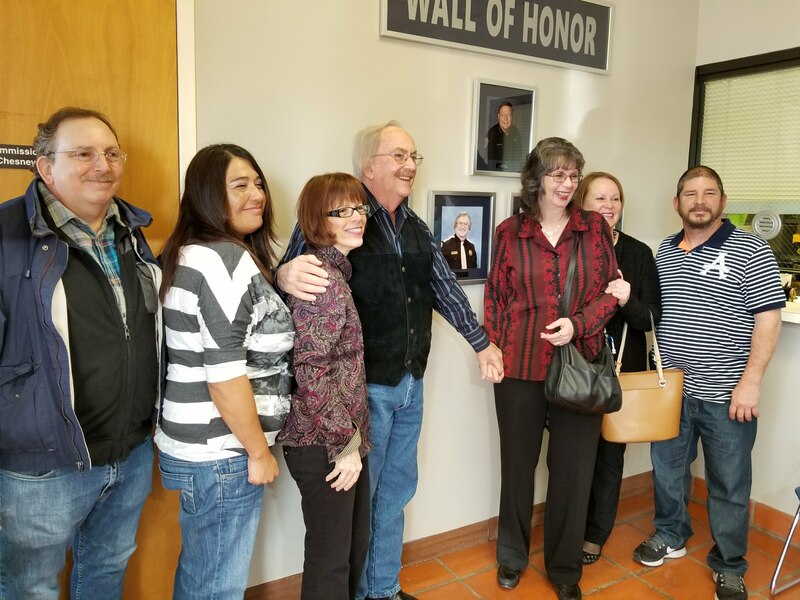 After receiving an honorable discharge, Clark returned to Corpus Christi where he enrolled in college and began his career as a deputy constable. 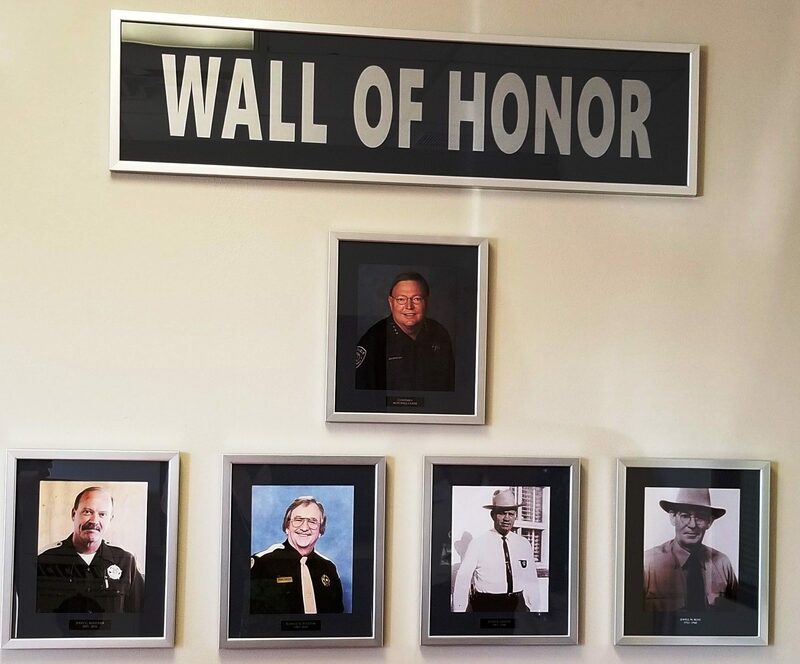 He went to school full time and worked full time as a police officer in the Nueces County Constable operations serving in Precincts, 1, 2, and 8. 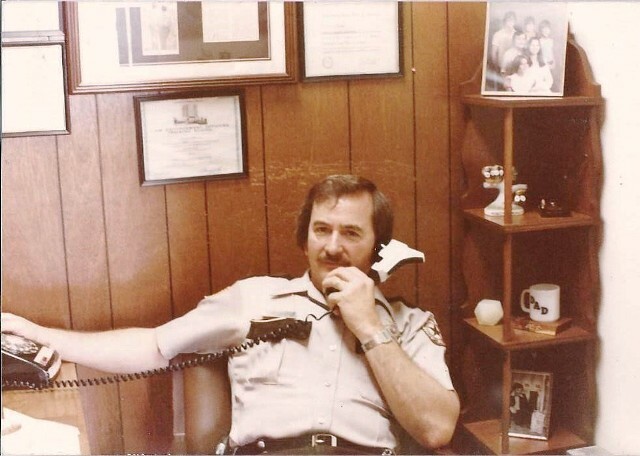 After graduating Law School and receiving his law license, Constable Clark began a long career as a trial attorney, working on cases across the United States but never forgetting his first love, law enforcement. 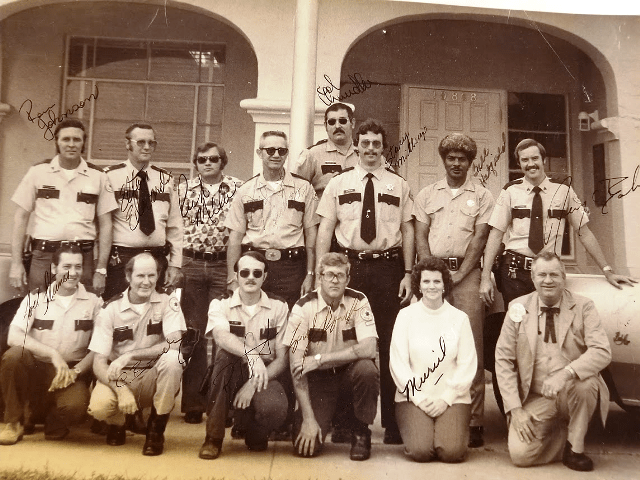 Constable Clark remained working in the Constable operations on a non-paid basis while practicing law. NOTE: Be sure to visit Texas Shoreline News for more Flour Bluff history and current events.